If you own your home, or can get permission from your landlord, one of the best ways to organize your wardrobe is to install a closet system. A coherent system will optimize your space, create a clean look, and help you keep everything organized for the long term. But how, you ask, do I pick from the myriad closet system options available? How do I know what elements to include? The process can seem overwhelming, but you can break down the creation of your dream closet into 5 concrete steps. Step 1: Declutter and measure. You KNOW I was going to start here! The closet of your dreams will contain only clothes and accessories that make you feel great when you put them on. That, and you need to know how much of each category of clothing, shoes, and accessories you’ll be storing in that closet. Don’t forget to account for the fact that you will shop again in the future - give yourself some breathing room! Step 2: Choose your product. There are A LOT of options out there, from big box stores on up to solid wood custom. First, weigh your budget, your aesthetic, and the flexibility you need from your storage to narrow down what type of system you’re shopping for. Then you can look at a couple of manufacturers in that space and select the one that’s right for you. Whatever you choose, know that a closet will seem way more expensive than it should be - frustratingly so - but once it’s installed, you’ll be so glad you made the investment! Step 3: Consider your personal wardrobe. 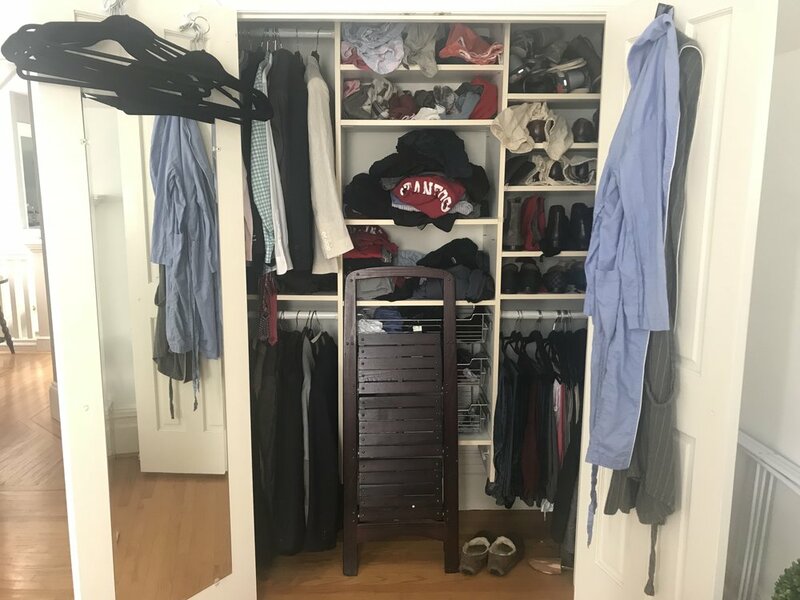 Closet companies all have a recommended basic layout for both men’s and women’s closets that they start with, but to truly get the best solution for your wardrobe you’ll need to have a really good handle on what you own and how you like to store it. Do you wear more separates or dresses? Do you like to fold your knits on shelves, or in drawers? Is a varied collection of shoes and bags important to you, or do you only own tried and true essentials? What about belts, ties, and hats - are they key parts of your wardrobe or just sometimes pieces? The answers to all these questions will determine which closet elements you need and the appropriate proportion within the space. Step 4: Save space and flexibility. Closet companies have developed modular options that are specifically designed for particular items. But sometimes, those mods actually aren’t the most space efficient way to store things! For example, regular old flat shelves fit more shoes than angled shoe shelves. Also, don’t be afraid to move things around or ask for more pieces! In most systems, the shelves and hanging bars are all adjustable, so you can custom fit each shelf height to the items it stores and add more to maximize the space. Step 5: Add finishing touches. 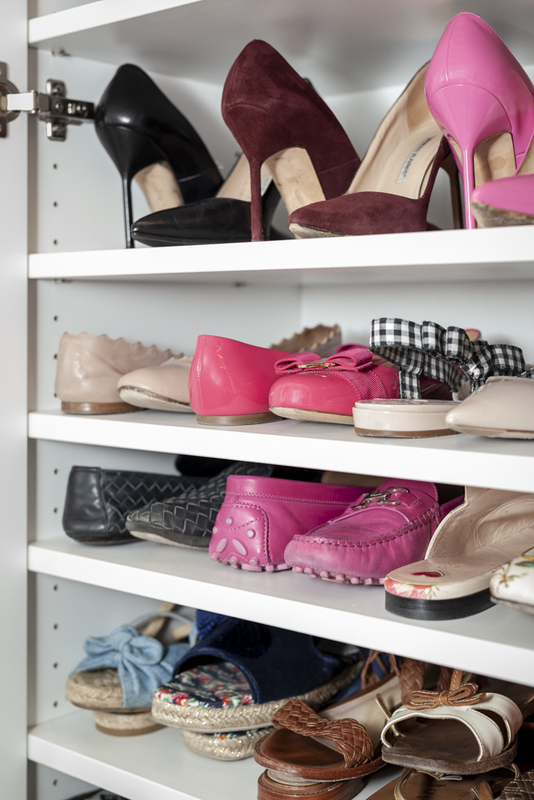 It’s the little things that truly make a closet feel perfectly organized. I generally don’t believe in cluttering a closet with lots of labeled containers, especially when you’ve been able to design the space to your specifications. But one thing I do highly recommend is starting with a complete set of matching hangers. This allows the hangers to recede into the background of your visual field and puts your focus where it should be: on the clothes! I absolutely love the process of designing a beautiful closet for a client - it’s such a gift to the client every time they get dressed! If you want to create your own dream closet but feel stuck or overwhelmed, I can help. Click here to contact me or schedule a complimentary in-home consultation. Part 4: Just Get Rid of It! If so, know that you are very much not alone! You’re also probably wondering how to tackle your organizing struggle with your loved one. Here are some strategies that I both use and recommend to keep the organizing process smooth and as low on conflict as possible. 1) Acknowledge that it takes two to tango. Both of you got your home the way it is today, and both of you are going to have to work together if you want it to change. This doesn’t necessarily mean that each of you contributed 50% of the mess or have to do exactly 50% of the work during the organizing project! It does mean that it isn’t productive to spend time and energy blaming one half the couple (whether it’s yourself or your partner!). Instead, team up as co-conspirators in the organizing process. 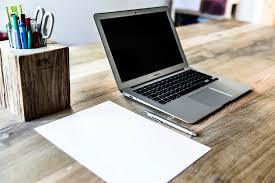 2) Avoid placing a value judgement on organizing skills. Some people are good at organizing. And some people aren’t. That’s ok! Organizing is not an inherent trait, it's a skill that can be learned. So, if you’re already good at organizing, that doesn’t mean that you’re better or smarter than someone who isn’t - and the reverse is of course also true. If you can separate your feelings about your partner’s organizing skills from your feelings about them as your love and partner in life, it will be at lot easier to work together! 3) Give each person their own space. I find that a lot of organizing struggles stem from objects being commingled at random. Of course, many items in a home are shared among everyone that lives there - kitchen tools being one of the most obvious examples! But by mixing up things that clearly belong to individual people, you muddy the waters about who is responsible for organizing those items and the spaces they live in. And in a vacuum of responsibility, nothing gets done. The more you can separate belongings and give them dedicated, designated locations, the easier it is to assign responsibility and the more control each person will feel over their own belongings. 4) Think about how tradition has affected your approach. In pretty much all the heterosexual couples I work with, the female partner is in charge of the home - whether or not she works and/or earns more than the male partner. This isn’t necessarily a bad thing, and it’s of course up to each couple to divide responsibilities in the way that works for them. However, this traditional division of labor can become a problem when it happens by default and/or puts a greater total burden on the female partner. So, I really encourage you to talk to your partner about the goals you share for keeping your home organized and how each person can contribute to reaching them. This keeps the focus off divvying up major, well known tasks like laundry and dishes, since this traditional approach can obscure the many smaller tasks that contribute to a home but are often automatically picked up by women and unnoticed by men. All of the above are strategies, but none of them can be implemented without a shared vision. So Step 1 should always be to get on the same page about what you want your home to look and feel like, and how you want to use your space. After all, it’s impossible to properly share the load when you haven’t defined it in the first place! Like many women, I hate clothing sizes. I hate how inconsistent they are from brand to brand, I hate how they tell you absolutely nothing about fit or proportion, I hate that only a certain range is considered normal for an adult woman, and more than anything I hate the power they have to affect my confidence and self worth. I know I’m not alone, because in my years of organizing, the subject of clothing sizes continues to be one of the most delicate, emotional things I handle with my clients. An awful lot of women (and many men!) have a visceral hate-hate relationship with the size tags on the clothes in their closet. Body dysmorphia can come at you from every angle. I’ve worked with thin, fit women who see a much larger person in the mirror and can’t really believe that their old clothes are falling off them. I’ve worked with women who have gained weight suddenly and still try their old clothes every morning hoping against hope that they’ll fit again. And pretty much every woman whose closet I’ve worked in has recited a laundry list of things she hates about her body and how it looks in clothes. How do I help? I encourage my clients to love themselves now, just as they are, and curate a wardrobe that makes them feel their best today. After all, the entire purpose of organizing a closet is to make sure that getting dressed is an easy and pleasant experience! And clothing that doesn’t fit doesn’t exactly arouse pleasant feelings. Clients who have made a weight change that’s positive for them dread a return to their old size, while clients who have made a weight change they perceive as negative feel guilt and shame that that they can’t wear their old clothes. So, I recommend that if a weight change has been recent and/or sudden, that clients do store a wardrobe of things they love at a size they are likely to return to within the near future. I suggest that they give themselves a reasonable time limit, and if the clothing still doesn’t fit at that time, to donate it. However, if the weight change has been maintained for a longer period of time, I do encourage my clients to donate all clothes that no longer fit, even if they were once loved. This process is usually difficult, but it allows the client to focus on the present, and living with and loving the person they are here, today. After all, that’s what I’m trying to help my clients do: be present! There is a fundamental truth I have learned: if there is a couple that exists, one person will be more organized than the other, and this discrepancy will cause strife. I’ve lived this conflict in my own relationship! 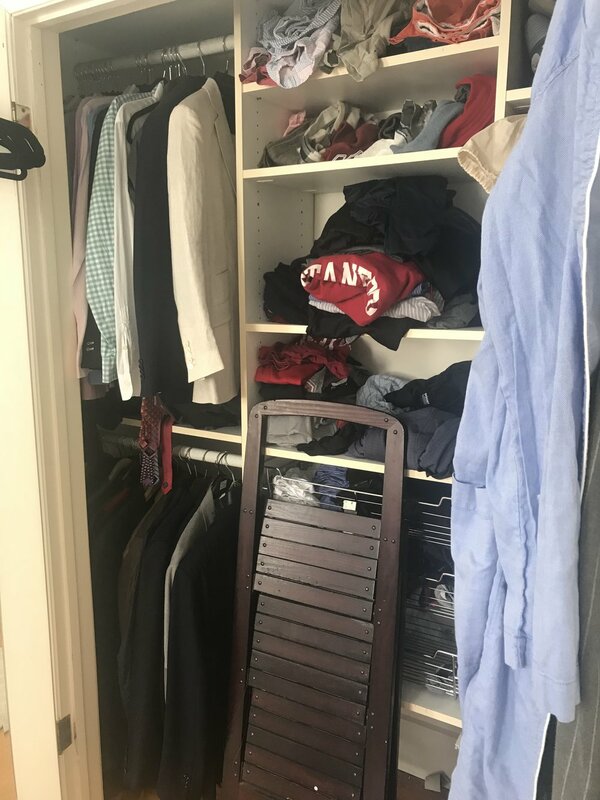 I’m sure you can guess who the more organized person in our household might be… and it used to drive me crazy that it seemed like my husband was either blind to clutter or just didn’t care that he was living in the middle of a disorganized whirlwind. Notice that I said “seemed.” Because how we perceive things in our own heads is very rarely the same as the way other people see them! What to me looked like disorganized chaos looked extremely unremarkable to my husband, and he was completely confused as to why I was so upset by something as simple as stuff. If you’re curious about our personal story, I talked about it here, way back in 2016! So, given the fact that I am, well, me, you might assume that I always side with the more organized partner when I’m working on organizing a space with a couple. You would be wrong! I treat each client with same respect and trust and take that responsibility very seriously. This is just as relevant across projects as it is across household members within the same project. So, for the next couple weeks, we’re going to take a deep dive into the various delightful flavors and variations of organizing imbalance in couples, the kind of trouble it can cause, and some strategies to help you rebalance the concept of home organizing in your own relationship. Everything in this series is based on my professional expertise and my experience of organizing homes for couples over the past nearly five years. I’m not a counselor or therapist, I’m just sharing what I’ve seen in my work in hopes that it might help you! First up: the classic story of the couple consisting of The Organized One and The Disorganized One. Surely it’s all The Disorganized One’s fault… right? ?